Tech 2 Scanner (Works with GM/SAAB/OPEL/SUZUKI/ISUZU/Holden) with candi Module interface and 32 MB Card. ONE order with one piece 32MB Card as options shown. Can sell Memory Card Separately for $60 each. DOES NOT come with storage case. Not an authentic tech2. If you’re looking for an authentic tech2 expect to pay $1,000+ for a used one and you better know how to tell the difference or you’ll pay $350 for a clone unit anyway. This is a clone (Chinese model) but has same capabilities and functionality as the original. Why pay $1,000+ when you can get this cloned model and a fraction of the cost and does all the same functions. Perfect for DIY’ers. 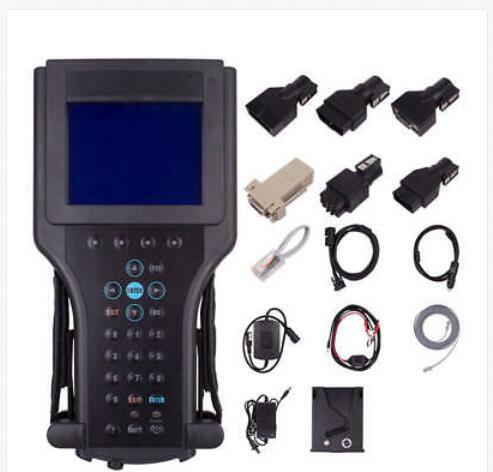 We are OBD OBD2 Manufacturer with 10+ years experience in This Field . 1 year warranty on the scanner & Candi module. 1. Capture stored DTCs, Freeze Frame, and Failure Record for later review, view the status of vehicle diagnostic tests as they run and provide full bi-directional control when performing powertrain, chassis, and body diagnostics. 2. Support for all GM systems from 1991-2009 and some 2010-2013 (not all vehicles, see insert below). 3. TIS2000 CD (included) will do up to 2007 year for GM vehicle programming. Does NOT include the software key. You’ll need to obtain on your own or find a hack to unlock. Best source is acdelco website which costs $55 for 2 day access to the tis2000 SPS reprogramming . Screen: 3.8.8 backlit monochrome with full graphics capability: 320,40 pixels. Displays up to 9 vehicle parameters at once. Please note DOES NOT work with the below listed GM vehicles. They require the GM MDI and Global Diagnostic System 2 (GDS2) software/subscription. From 1991 to 2013 (with exception to the above vehicles) this scan tool will get it done.